Many struggling with chronic lower back or neck pain seek one thing: relief from the pain. 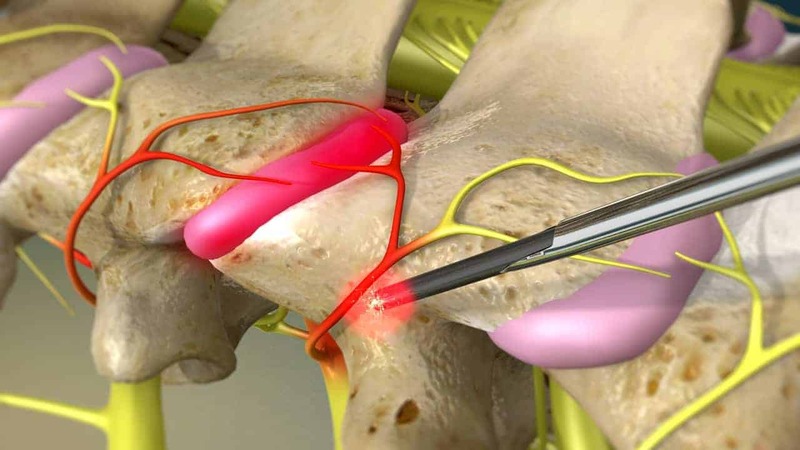 This is precisely what can be achieved with endoscopic facet rhizotomy, an advanced minimally invasive spine procedure alleviating pain coming from facet joint syndrome or spine arthritis, since facet joints are often a primary source of chronic low back & neck pain because they are almost constantly in motion as we move about and can break down as we age and from repetitive injury. Since facet joints are often a primary source & one of the main reason for chronic low back pain, endoscopic rhizotomy has become more and more popular and useful in western countries. Patients often feel better very quickly after endoscopic rhizotomy procedure and report that the procedure ends the muscle spasms often triggered by facet joint pain. High Success rate than any procedure for facet joint pain. No instability, as the structures that stabilize the spine – the ligaments and joints – remain unhurt. This is a main difference to microscopic surgery technique. Already two hours after the intervention you will be able to walk without pain. Short hospital stay: you can go back home the day after the intervention. Conditions Can Endoscopic Facet Rhizotomy Treat? There will be a follow-up examination the day after the intervention. During the first two weeks lumbar support may be advised, which sustains your back and will soon allow for resuming daily activities. It is recommended to start exercises after 2 weeks. Simultaneously you might gradually resume your sports activities. After 3-5 days you can resume simple office work and slight physical work. You shouldn’t do any hard physical work during the first 2 weeks and then only gradually increase. Consult Spinomax Pain & spine to find out if you are right candidate for Endoscopic Rhizotomy from best spine & pain specialists.